Well, it looks like we’re not going to keep up on our weekly updates so this will be a (quick) summary of the activities of the past 10 days or so. First and foremost, we have completed insulation which only took a day and have started sheetrock! 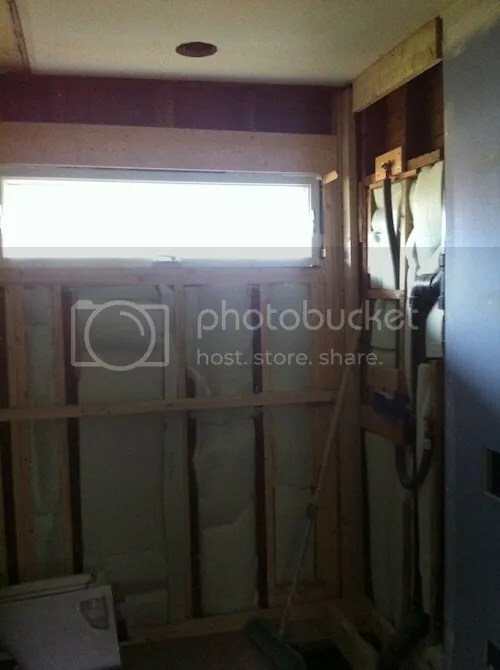 The insulation went in very easy. We really wanted to use recycled denim because it’s a very “friendly” product, i.e. no glass wool or other nasty stuff, but it was not available in large quantities. 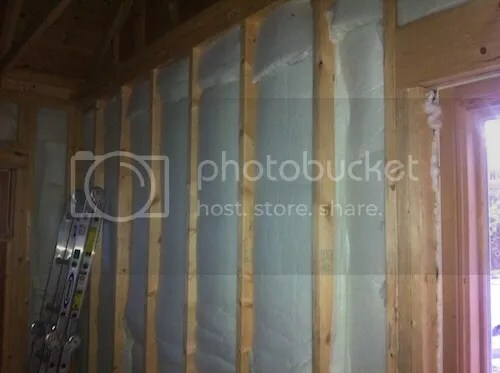 After some searching, Mike found another option that is similar to fiberglass batts in shape and size but it is formaldehyde-free, contains no fiberglass and is much easier to handle. It is called Enguard and is actually made from recycled bottles and other recycled polyesters. I only have one picture, but you get the idea.. 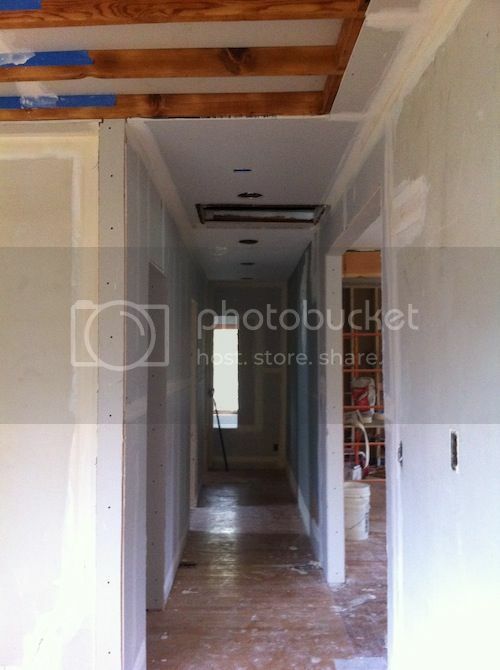 So once that was done, the sheet rockers came in and started putting up the walls. These guys are not kidding around, they are making some great progress (meters mak’n, we’d say in my hometown 🙂 ). Then we also spent some time looking at bathroom and kitchen finishes. It seems it is still a long time away but really we hope to be in by the end of the month so we need to get this stuff ordered.. 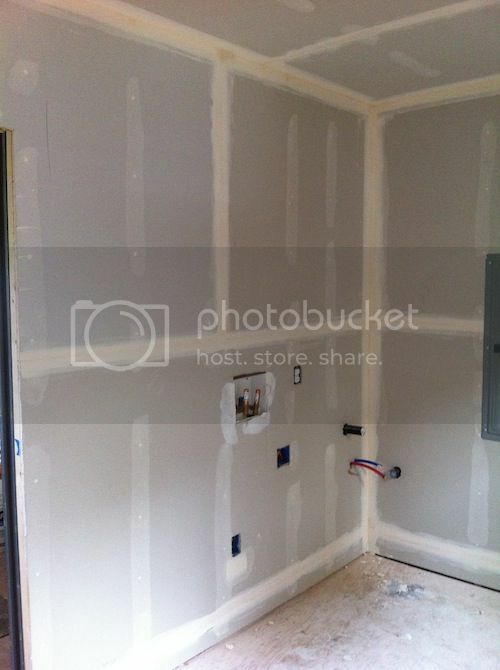 In the shower area (we will have no bathtub), we are considering adding a 2 feet wide strip of pebble stones. Should look, and feel, pretty nice especially with the added radiant floor heating. 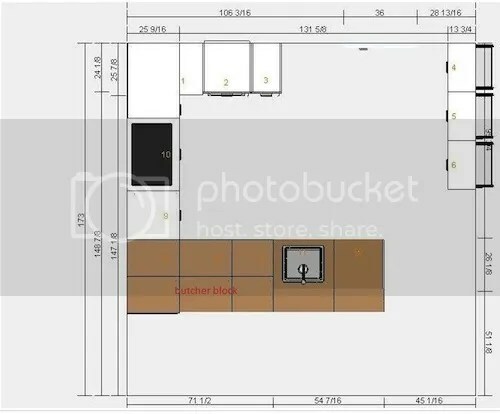 For the kitchen, we have finalized the design. 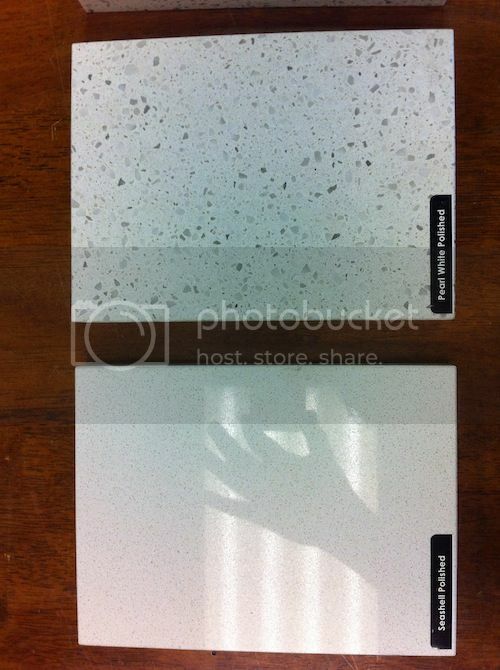 I drew up the below pictures for the countertop contractor so he knows what the idea is. We want caesarstone counters in one area of the kitchen and then have a thicker butcher block area run over the sink and serve as an island/peninsula. 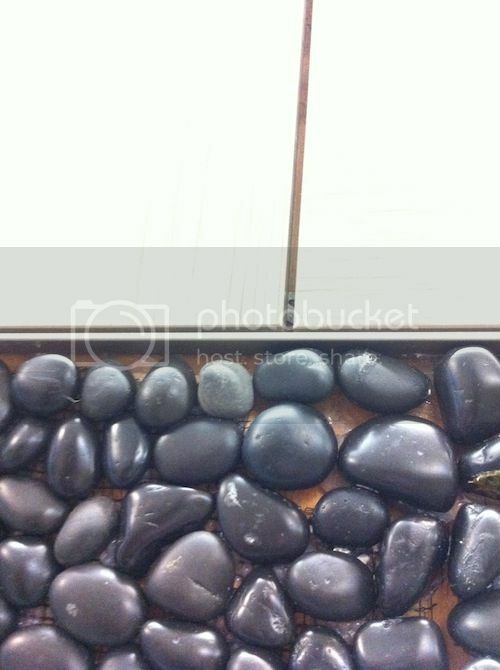 This entry was posted in Bath, Design, Family, Kitchen, Photography, Random, Status Report by dutchondibble. Bookmark the permalink. 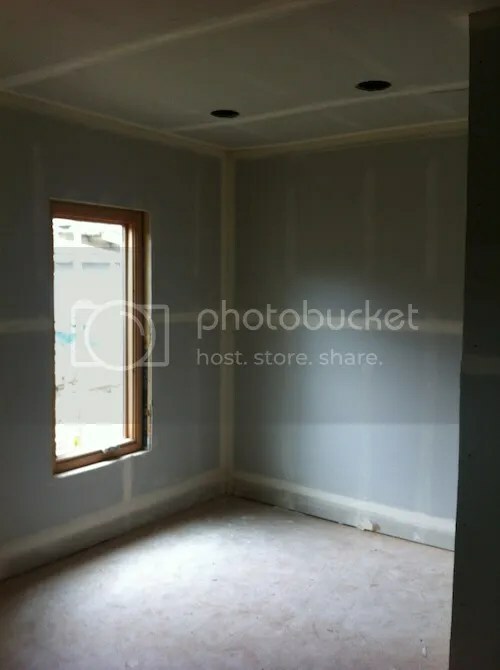 It looks great with the walls. 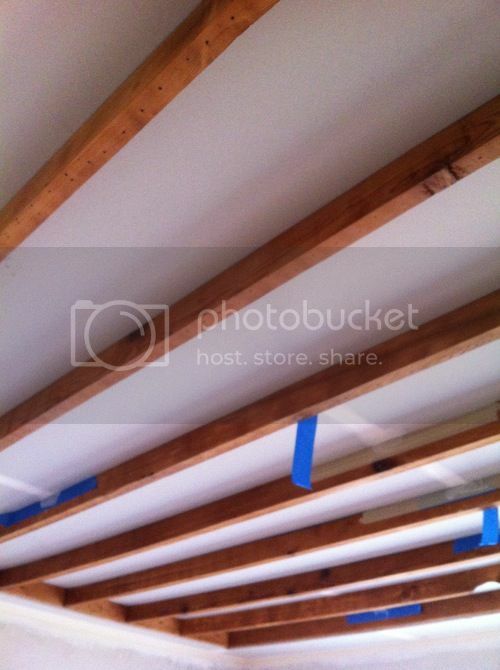 Also the beams in the living room are really nice (awesome). For the countertop the most practical is a spickled one. One pure white you see everything. Keep up the good work and hope you enjoyed your pilsien. Wow! Your taste is incredibly similar to my own! So glad you left me a message so that I could find your blog. We too are using Caesarstone with wood on one end of the island. We were going with the plain white at first but switched to their cement grey last minute. Which did you choose? 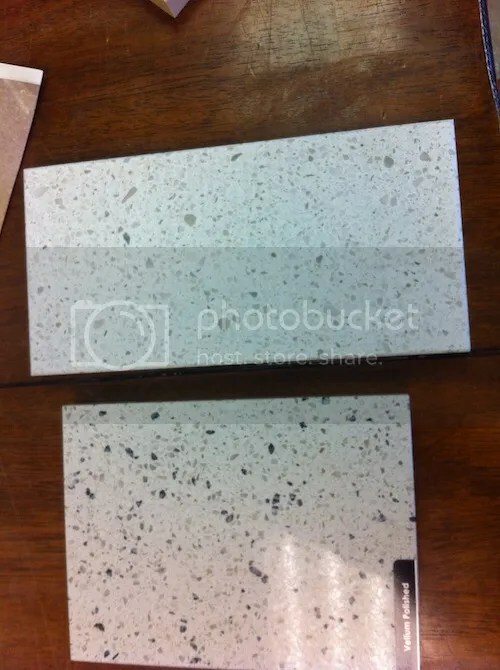 We went with the Caesarstone Blizzard, I was set on pure white for a while but we agreed that everything would show on that so the blizzard was the next best thing. 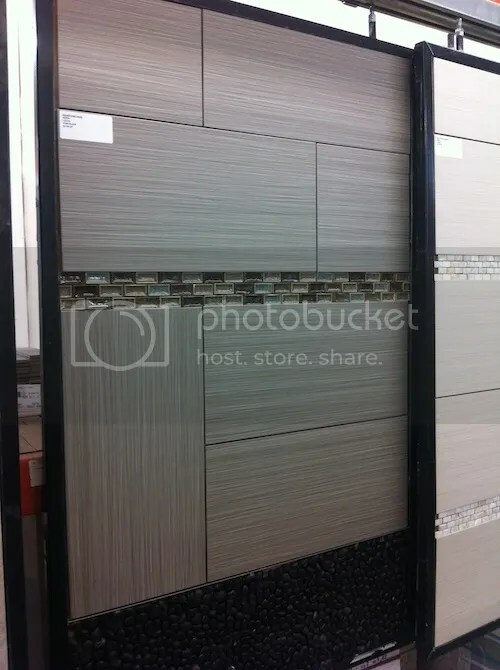 I like the cement too, but since we’re going with the high gloss gray (Ikea) cabinets, that was not an option!